Open Access Week seems like a good time to write my first blog post about two new projects I’m going to be working on over the coming months. 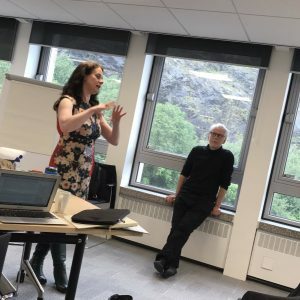 One is to facilitate a University of Edinburgh Open Knowledge Network and the other is to create a MOOC for small to medium enterprises on how to access open research outputs produced by the UK Higher Education sector. 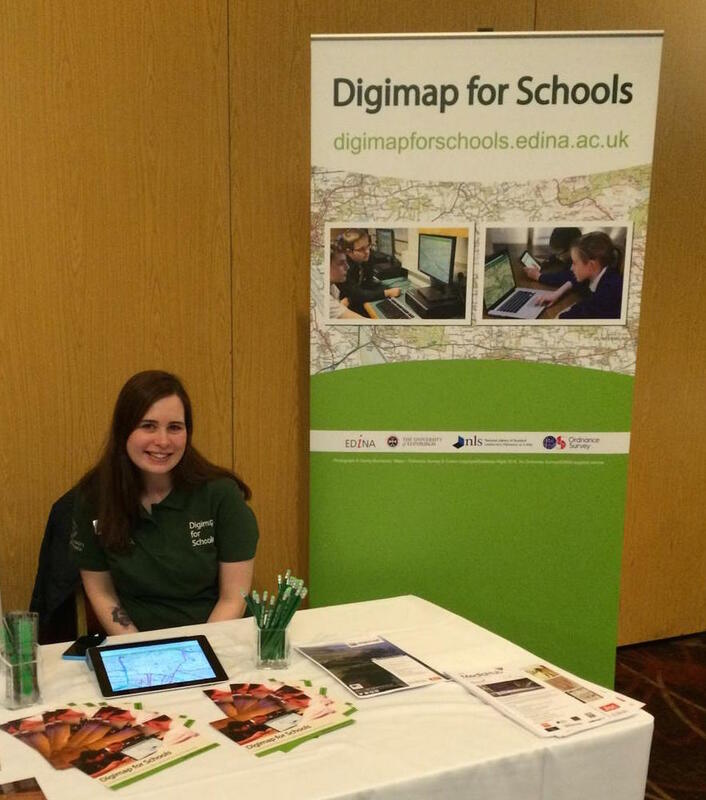 Both projects have been funded by the University of Edinburgh’s Information Services Innovation Fund. The aim of the network will be to draw together the University’s activities in the area of Open Data, Open Access, Open Education, Open Collections and Archives and to promote collaboration and cross fertilisation across these areas. 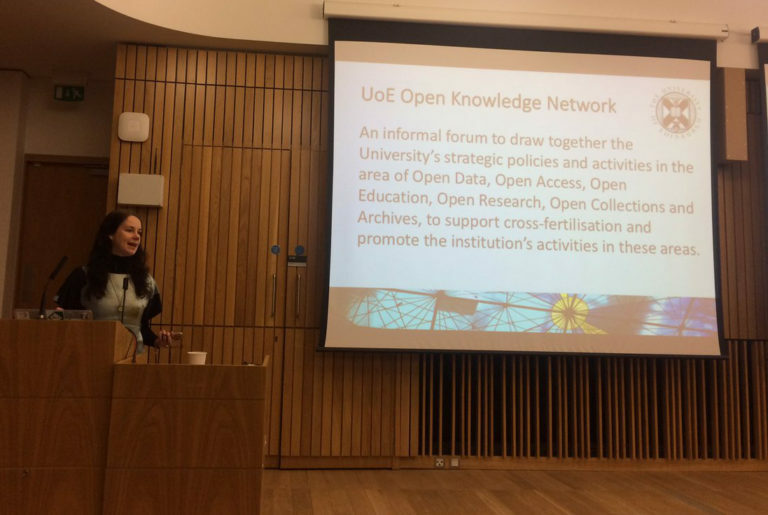 The Open Knowledge Network will host a series of meetings that will bring together guest speakers and open practitioners from across the institution to share ideas and practice. 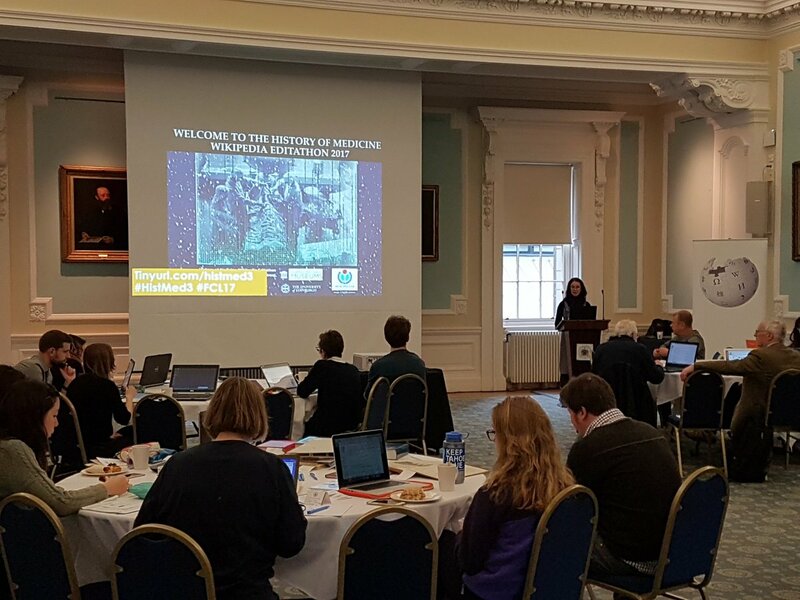 The project will also aim to raise awareness of the benefits of open licensing and sharing open data, collections, scholarly works and OER within the institution and across the sector. This project will scope and develop a short information Services MOOC for small to medium enterprises on how to access open research outputs. The course will focus on developing digital and data literacy skills and search strategies to find and access open research outputs including Open Access scholarly works and open research data sets. The course will be developed with Edinburgh Research and Innovation and will feature case studies based on the University of Edinburgh’s open research outputs. 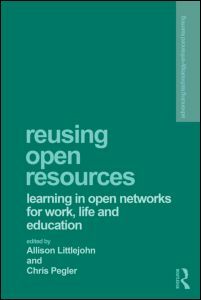 In line with the University’s commitment to OER, all resources developed for the course will be released under open license and will be available to be re-used and re-purposed through a range of channels. If you have an innovative case study that could feature in the new course, or if you’d like to get involved in the Open Knowledge Network you can drop me a mail at lorna.m.campbell@ed.ac.uk or tweet to me at @lornamcampbell. 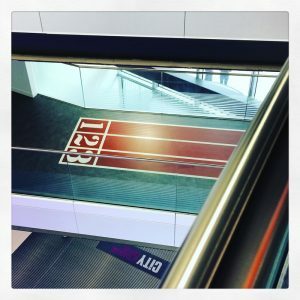 Open Access Week is a global event that provides an opportunity for the academic and research community to learn about the potential benefits of Open Access, to share what they’ve learned with colleagues, and to inspire wider participation in helping to make Open Access a new norm in scholarship and research.